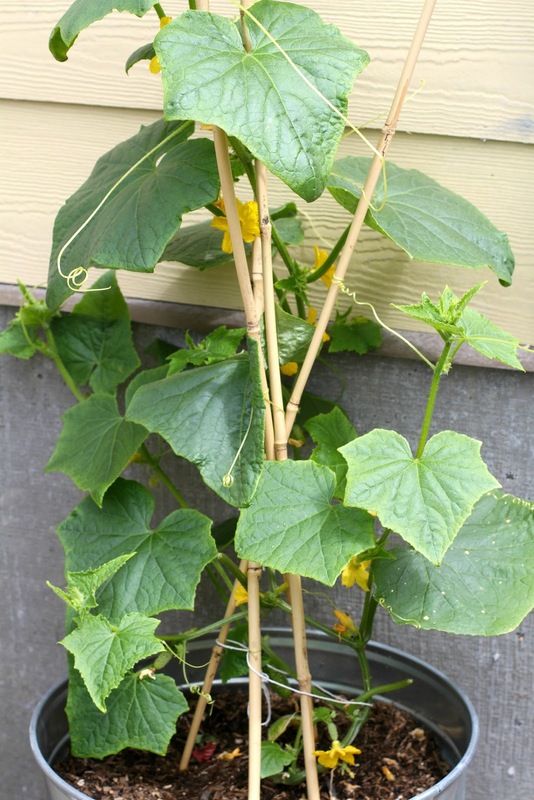 There are so many things you can do with cucumbers – why not grow them! Cucumbers are quite needy, so be prepared to give them more attention than the other vegetables in your garden. They are heavy feeders; they need a lot of space; and require as much sun as possible. I live in Seattle on a very small lot in the city, so I grow my cucumbers vertically, taking advantage of their vine-like limbs. I always grow my cucumbers in containers, as I just don’t have room in my garden beds.